Each year Kansas businesses send me the names of people with bank accounts, wages, stocks and dividends that have been abandoned. As State Treasurer, it is my job to reunite those people with their unclaimed financial assets. I use our website, in addition to many other initiatives, to bring the unclaimed property program directly to the people of Kansas. Please feel free to check your name by calling 800-432-0386 (toll free) or 785-296-4165. You may also check your name online from this site by clicking here. Why Does Unclaimed Property Come to Our Office? What kinds of properties are they? Do not assume that the business has your last known address, in which case the property is supposed to be sent to the state of incorporation of the business. Many times the state of incorporation is Delaware, New Jersey, New York or California, even though the business might be located in Kansas. If you are a woman and you have been married, or if you are simply checking out family names, make sure to check under maiden names. Keep in mind that if someone calls or writes to you and asks that you pay them money for the successful return of your unclaimed property, you probably have some out there somewhere. The folks who are contacting you are called 'asset locators.' They are not likely to contact you unless they believe that they have found property belonging to you. Asset locators generally charge a fee to locate and help return unclaimed property to you. Call us first. The United States Treasury is currently holding more than $16 Billion worth of matured U.S. Savings Bonds that are no longer paying interest. The amount issued to owners with addresses in Kansas is estimated to be over $151 Million. Some states have attempted to claim these bonds under the states’ various unclaimed property acts like K.S.A. 58-2934, et. seq., but the U.S. Treasury has refused their claims because these states did not have title to the bonds. They have also refused our own efforts to gain access to their records so that we can learn more about unclaimed U.S. Savings Bonds owned by Kansans. The Kansas Legislature passed K.S.A. 58-3979 authorizing the State Treasurer’s Office to take title to these matured bonds. We are pursuing litigation to take title to all matured U.S. Savings Bonds issued to owners with a last known address in Kansas, in order to return the funds to their rightful owners. 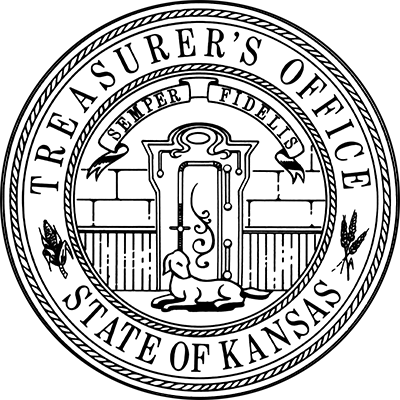 The Kansas State Treasurer’s Office currently returns between $14 Million and $16 Million in other unclaimed property each year. You have until the hearing date of March 29, 2013 to claim your matured bonds from the U.S. Treasury. Once we obtain title to these bonds, we will redeem them and place the original owners’ information on our website so the owners or their heirs can claim them from our office. If your name was listed in this published notice, the Treasurer's Office currently has your physical bond and you can claim it by contacting our office and filling out our claim form. The bond was most likely obtained from a safe deposit box owned by you or a family member that was delivered to our office as unclaimed property by a bank that does not have your current contact information. Certain processes within our website require us to know who you are. If you have already signed up as a site user, you may log in using this page. "Each year Kansas businesses send me the names of people with bank accounts, wages, stocks and dividends that have been abandoned. As State Treasurer, it is my job to reunite those people with their unclaimed financial assets. I use our website, in addition to many other initiatives, to bring the unclaimed property program directly to the people of Kansas. Please feel free to check your name by calling 800-432-0386 (toll free) or 785-296-4165. You may also check your name online from this site by clicking here." Learn more about Jake.